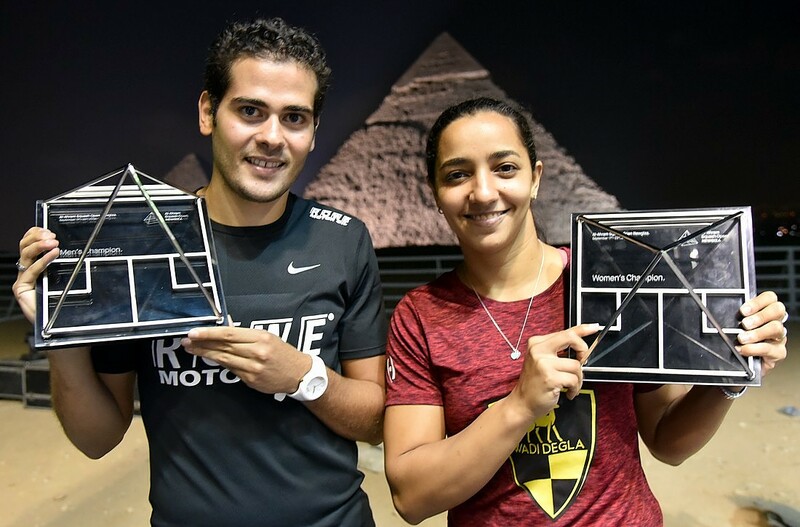 Egypt’s Amr Khaled Khalifa is set to become only third man in history to win the title twice when he defends his crown in the WSF Men’s World Junior Squash Championship in Belgium next month, according to the draw issued today by the WSF. The 18-year-old from Cairo is named as top seed in the 2011 championship which will take place at the Flemish Squash Centre in Herentals from 13-17 July. Khalifa will be aiming to maintain Egypt’s unbroken grip on the trophy since 2004, when Ramy Ashour won the first of his record-making two titles, followed by history-repeating double-title victories by Mohamed El Shorbagy in 2008 and 2009. And it will be Mohamed’s brother Marwan El Shorbagy who is expected to provide Khalifa’s stiffest opposition in Belgium. The 17-year-old from Alexandria is seeded to meet the title-holder in the final in a repeat of the 2010 championship’s semi-final in Ecuador, where Khalifa won in five games. Pakistan provides the two 3/4 seeds, Danish Atlas Khan and Nasir Iqbal, both 17-year-olds from Peshawar. Players from 19 nations will compete in the 18th staging of the WSF championships.